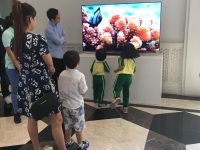 Cambridge BHS' trip to "Antarctica"
For Term Our Special World, the Junior Nursery Vertical kids learned about endangered animals endemic to the Philippines, particularly the Philippine Eagle. 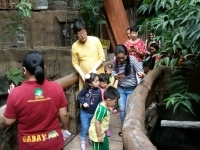 To have a better idea of how it looks like compared to other birds, the class visited Ark Avilon last November 7 together with their teacher and parents/guardians. 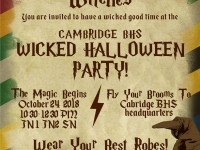 Last Oct. 24, 2018, little wizards and witches came to celebrate Halloween at Cambridge BHS. 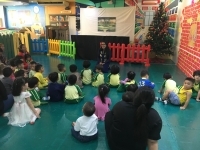 Harry Potter-themed games and snacks were shared and enjoyed by the whole community. 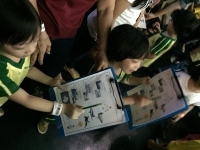 It was fun seeing the kids play with their parents as they bonded with puzzles, relay games, and scavenger hunts. The highlight of the day was giving and receiving treats from the parents as they went around the room carrying with them empty bags and leaving with an overflowing stock of goodies. It's a Small World After all! 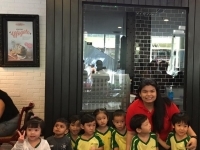 In Cambridge BHS, you'll see a variety of cultures and backgrounds as the children come not just from the Philippines but from different countries as well. 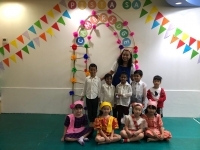 To celebrate each one's unique ethnicity, the kids came in their costumes and shared with the class some delicacies from their country. 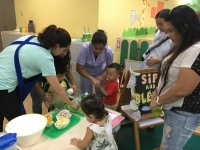 As part of the celebration last Oct. 5, 2018 and to give our teachers some time to rest, we invited some Mommies to be our "Teacher Mommy" for an hour. 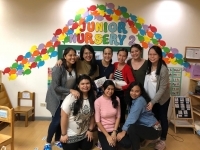 Thank you, Mommy Carissa Tugade, Mommy Grace Donato, Mommy Eva Buendia, Mommy Cor Antig, and Mommy Christie Fursman for sharing your time with the kids.